Item # 308941 Stash Points: 3,495 (?) This is the number of points you get in The Zumiez Stash for purchasing this item. Stash points are redeemable for exclusive rewards only available to Zumiez Stash members. To redeem your points check out the rewards catalog on thestash.zumiez.com. Get your look on lock for the Spring and Summer with Billabong's Surf Bandit Brown Sandals. 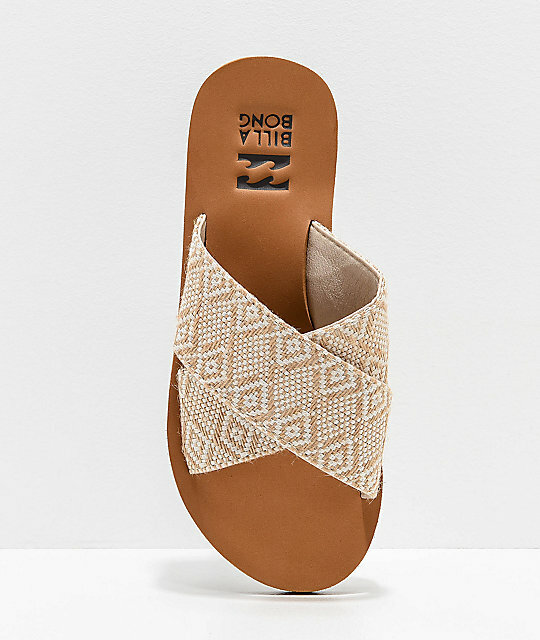 These bohemian-inspired sandals feature fashionable criss cross straps with soft faux leather lining. Simple and easy to pair with swim suits, skirts and jean shorts alike, the Surf Bandit offers versatility in a stylish composition. 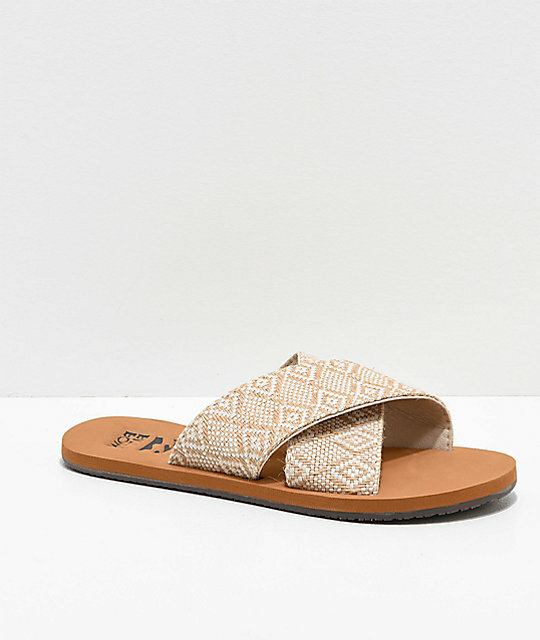 Surf Bandit Brown Sandals from Billabong. 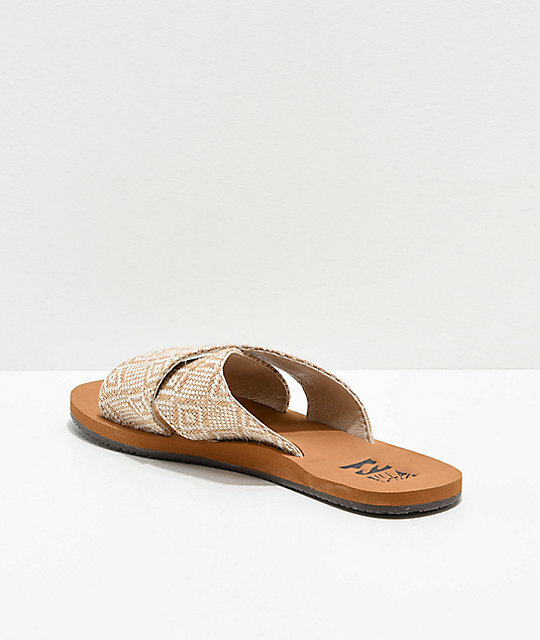 Woven textile tan and white criss cross straps with soft faux leather lining. 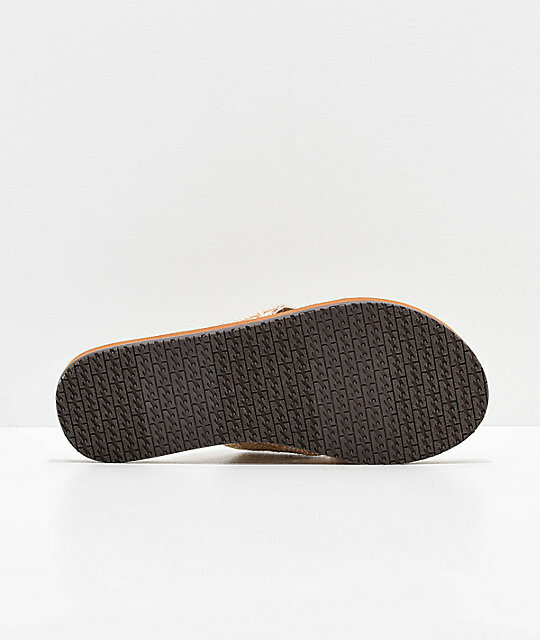 Billabong's Marshmallow Cushion comfort outsoles. Plush footbed molds to the curvature of your foot. Billabong wave logo tread pattern for grip. 40% EVA, 40% TPR, 10% polyester, 10% PU.